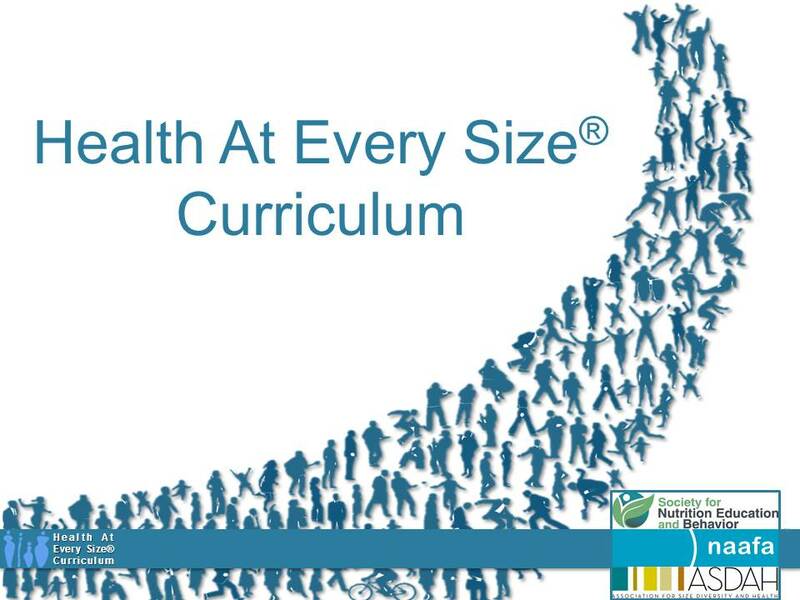 HAES® Curriculum | A peer-reviewed curriculum designed for teaching health professionals and university students about the Health At Every Size® model. A peer-reviewed curriculum designed for teaching health professionals and university students about the Health At Every Size® model. 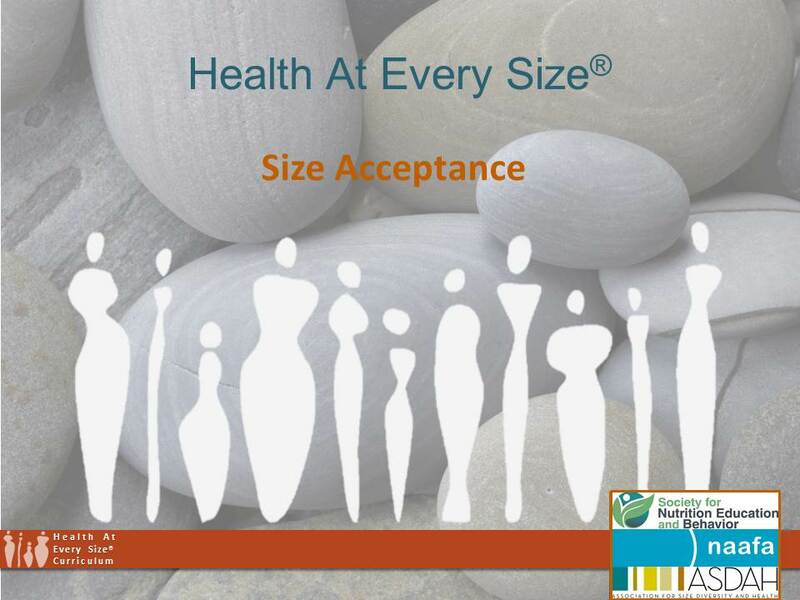 The Association for Size Diversity and Health (ASDAH), the National Association to Advance Fat Acceptance (NAAFA), and the Society for Nutrition Education and Behavior (SNEB) are pleased to offer the Health At Every Size® Curriculum for the education of college and university students and health professionals. The Health at Every Size model is a health-focused, weight-neutral approach to health that promotes the right to be peaceful in one’s body. This curriculum was developed to educate others on adopting a weight neutral approach towards health, thereby filling a void in health curriculum at colleges, universities, and professional training programs. 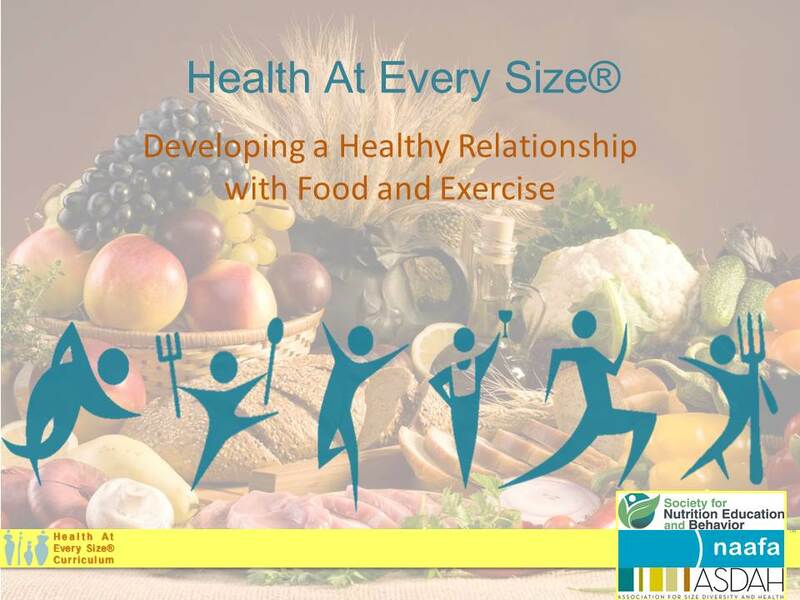 PowerPoint presentations of the three main components of the HAES Curriculum (Overview, Developing a Healthy Relationship with Food and Exercise, and Size Acceptance) may be obtained by clicking on the links below. For more information about the curriculum, including a description, learning objectives, and instructor tips, please see the “About” page of this website. Videos of the three components have been recorded, and supplemental materials are also available for download. We also welcome Feedback after you have used the curriculum. All feedback will be considered in future revisions of the curriculum. License: The HAES Curriculum is licensed pursuant to Creative Commons. We give permission for any educational, non-commercial use of this curriculum. By downloading any portion of the HAES Curriculum, you are agreeing to use it for educational, non-commercial purposes and in its unaltered, original format. Thank you! Please note that the following PowerPoints do not include voiceovers. If you wish to enjoy these with voiceovers, that may be done on the Videos page. 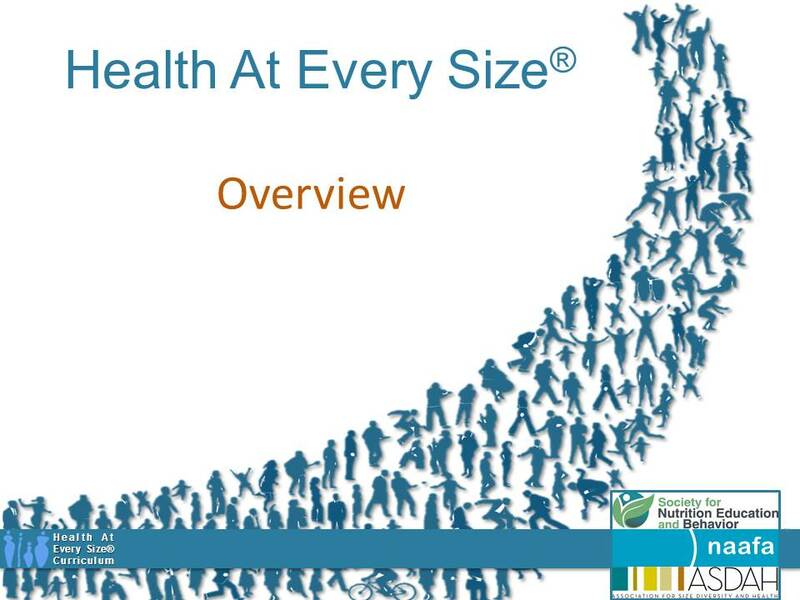 Health At Every Size® Curriculum by ASDAH, NAAFA, & SNEB is licensed under a Creative Commons Attribution-NonCommercial-NoDerivs 3.0 Unported License. Thank you so much. I really look forward to using this as I promote the HAES approach here as an Occupational Health Nurse. I called in to KPFA’s program About Health and gave them this web site. I hope you get some traffic from there. The February after I joined NAAFA in 1988, the SF Bay Area chapter had a health fair. I thought it was a wonderful thing, and with the advances made with collaborations such as this curriculum, this may be something to consider once more. In addition, politicians at all levels often have town halls either for general interaction or specifically on public health topics, and often the weight-centered approach advocates make their case unopposed. These officials make decisions about which health approaches will be given, if not outright public funding, at least a lot of publicity to their constituents; showing up at these events and giving them an earful can get their mental gears turning, give the other warm bodies something to bring home, and just plain feels good. May you all provide copious earfuls! Can you direct me to any resources for teaching these concepts to children? Thanks! We hope you find these useful. You can also search for children’s issues on the ASDAH Resources webpages (https://www.sizediversityandhealth.org/content.asp?id=31). You’ve no idea how happy I am to fin this! I’ve many people struggling with health and weight and to have the back up when I say just doing little things will make a big difference is huge. Thanks you! THANK YOU! I am starting a magazine with a focus on HAES principles and embracing size while exploring movement and adventure. This curriculum is invaluable! Looks like when you download these they are in “read only”. I’d like to use them in my nutrition class on Blackboard. Any recommendations on how to get them in a form that I can use? If you scroll down to the bottom of the HAES(R) Curriculum page, you should see the three PowerPoints with the download link just to the right of the image. Click on the orange font next to the word “Download” and they should pop right up as PowerPoint files. Let me know if this works. We are planning an intervention study including HAES groups. Can you direct me to any resources and materials regarding the content of the HAES groups? Thank you very much for your kind help! Thank you very much! This is helpful. We’ll take a look at them!